Adding Fringe is a easy and quick way to add pizzazz (do people use that word?) to a crochet project. 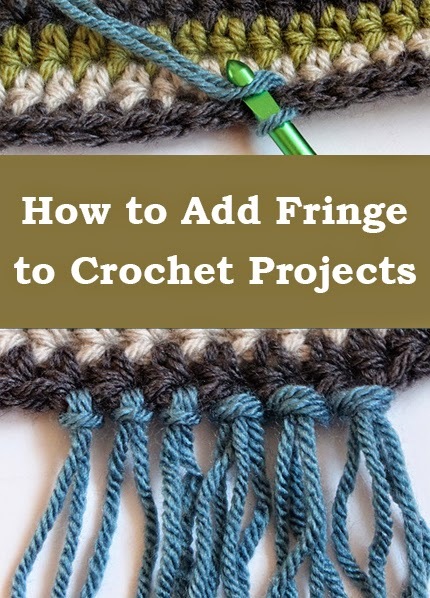 I LOVE to add fringe to scarfs and blankets, but any project would work!